This year's Halloween event runs weekends from 6th - 7th, 13th - 14th, and from 19th October - 2nd November 2018. Projetc 42: The brand new live scare maze, located in Forbiden Valley, invites valiant volunteers into the underground Phalanx compound where you'll need to outwit what awaits inside. Human test subjects have been infected by a mutant antidote and escaped the lab - and you'll need to find the vaccination and avoid contracting the infection. Sub Species: The end games: Located within The Towers, you will explore the underground, post-apocalyptic sewer system where the scary community have to appease the creature that rules over them by sacrificing innocent people from the surface. Your group will be split up and you will choose your own route in an attempt to avoid this community... A live action scare maze and unlike our other mazes, the creatures will touch you. Altonville Mine Tours: Those brave enough can head to ‘Altonville’ and enter the damp, disused mine, which is believed to have once been home to a family of village outcasts. Nicknamed the ‘Skin Snatchers’ by local residents, their spine-chilling secret is about to be unearthed. Remember ‘Beauty is only skin deep’. 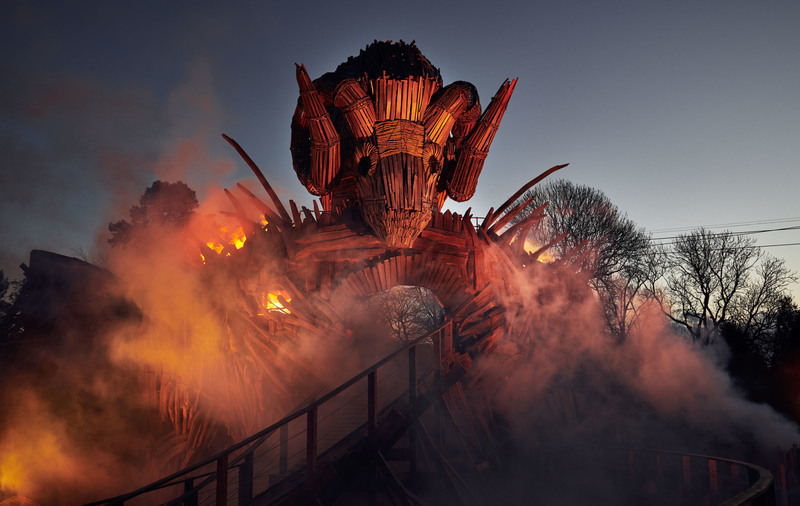 The Welcoming - be chosen: Every year, followers of the Wicker Man spirit, host a festival to celebrate their own interpretation of Halloween – paying homage to the earth and celebrating the crossover between the living world and the dead. This year they are allowing outsiders to celebrate with them. But what part will you play in this ritual? Galactica Airways: Meet the AI air cabin crew of Galactica airways, always at your service whether you like it or not. Ghost Pirates: This motley crew of pirate wash-ups have followed the sound of the siren all the way to Mutiny Bay. The Towers Gothic ruins are rumoured to be home to a number of supernatural forces – do you get the feeling somebody’s watching from the windows?